Within five years of its founding, the Order of the Jesuits was already famous for religious zeal. Word of Jesuit preaching and care of the sick in central Italy had spread throughout the Continent, and Catholic princes everywhere wrote begging for as many Jesuits as the Order could spare. When Portugal's King John III asked for six Jesuits for colonies in the Orient, founder Ignatius Loyola replied that he could only send two. At the last minute, however, one fell ill. His replacement, Francis Xavier, was given time only to mend his cassock before shipping out. Such was the beginning of one of the most wide-ranging and successful of missionary endeavors. The son of an aristocratic Spanish-Basque family, Xavier had been Loyola's roommate at the University of Paris, Europe's theological center. Gradually, the two had forged a friendship and a kinship in religious ideals, and with five others, they dedicated themselves to lives of poverty and celibacy in imitation of Christ. While Xavier traveled to Lisbon, Pope Paul III formally recognized his and Ignatius's followers as a religious order: the Society of Jesus, or Jesuits. At the request of King John III, Xavier was sent to Goa, India, the center of Portuguese operations in the East. After a year's journey (during which he first earned his reputation for sea-sickness), Xavier spent five months preaching and ministering to the hospitalized. He walked the streets with a bell, inviting children to church. Once he had enough Portuguese children, he taught them the catechism and gave them instructions to share what they learned with their parents. "Give me the children until they are 7 and anyone may have them afterwards," he said. Eventually the adults themselves, originally unreceptive to the missionary, were flocking to hear him preach. But Xavier figured that if he was meant to evangelize the Portuguese, he could have stayed in Portugal. He boarded a ship again, bound for the pearl fisheries of India's southern peninsula. About 20,000 Indians in the area had been baptized a mere seven years earlier, mainly because Christianity was the religion of the powerful Portuguese. Xavier wanted to instruct and confirm these neophytes as well as evangelize. However, India's caste system created another block to sincere conversion: many members of the lower castes sought conversion mostly as a means of social advancement. Higher castes saw the religion as subversive to the social order. Xavier and his followers were often persecuted, and Xavier himself was once shot with arrows. To make matters worse, reputedly Christian Portuguese soldiers were setting horrible examples for the new converts. On his missionary travels (he definitely reached Sri Lanka, and some believe he may have been the first apostle to the Philippines), Xavier converted a Japanese man named Han-Sir. Japan had been reached only five years earlier by Europeans, and Xavier was astonished at Han-Sir's reports of Japan's sophisticated culture. Hoping to reach "the best people yet discovered," as he called them, he sailed with Han-Sir, two other Japanese men, and two fellow Jesuits. As in India, he was well-received and thousands converted. Convinced that he had the beginnings of a flourishing church, Xavier returned to India for a brief respite. News awaited him. The Jesuit order had decided to organize a new province including all the territories east of South Africa's Cape of Good Hope. Xavier himself was to be its head. What Xavier really wanted, however, was to continue evangelizing Japan. In fact, he thought he could reach more Japanese if he could first reach China, because, as Xavier believed, the Japanese looked to China for wisdom: "What encourages us is that God has inspired this thought in us," Xavier wrote to the King of Portugal. "And we do not doubt that the power of God is infinitely superior to that of the king in China." China, however, was closed to outsiders, and Xavier died of fever while trying to gain entrance to the country. How many converts Xavier made is left to the educated guesswork of history. The numbers go as high as 1 million, but modern scholars peg the number around 30,000, while the Jesuits claim 700,000. 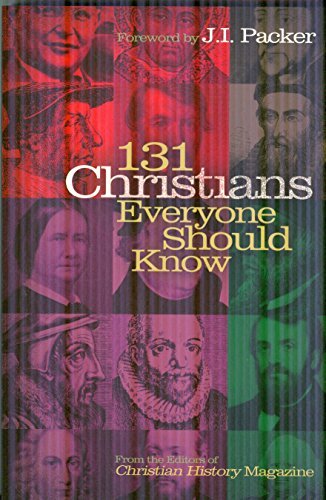 And while some of Xavier's methods have been criticized (he forced converts to take Portuguese names and dress in Western clothes, approved the persecution of the Eastern Church, and used the Goa government as a missionary tool), he has also earned praise. He insisted that missionaries adapt to many of the customs, and most certainly the language, of the culture they wish to evangelize. And unlike later missionaries, Xavier supported an educated native clergy. Though for a time, it seemed his work in Japan was subsequently destroyed by persecution, Protestant missionaries three centuries later discovered 100,000 Christians in the Nagasaki area. In 1622 the Roman Catholic church canonized Xavier—and in 1927 named him patron saint of all missions.